One of the most common mistakes I find when I am proof reading is the use of the plural verb in relation to a business entity. 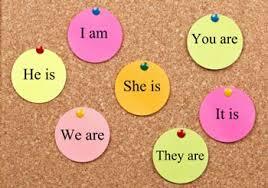 A singular subject must have a singular verb and likewise in the plural. For example “Business Solutions provide bespoke training for corporate organisations on excellent customer experiences”, should read Business Solutions provides … Why? Because there is only one Business Solutions – regardless of how many solutions and how many people work for this company. This leads to the other common grammatical problem. A significant number of companies describe what they do! Of course, a company is a single entity and the reference should therefore be what it (the company) does. Indeed when referring to what the staff do, the words should actually refer to what the staff does as staff is singular! Website copy is always the worst! Do check yours and let me know if you have fallen foul of any of these common grammatical mistakes? To quote Future Perfect isn’t it ironic how we all latch onto certain things we hate to see in English – some like to pick on quotation marks, some commas, some semicolons, it’s (with our without apostrophe’s etc). You like singular/plural! For me, your spelling mistakes jump out – singual, gramatical! I saw a very smart leaflet today with one very obvious spelling mistake! Given the environment of phone texting and email shorthand, how much does it all really matter? Surely we gave up a long time ago, when Engish grammar stopped being taught. Now, I’m usually one of the first to lean toward intellectual snobbery, but perhaps English is just too darn subtle and clever for the masses, and if 80% of the community don’t know about staff being a group name, should we waste time educating? Does it all come down to how ‘rules’ driven we are? (Who knows what pluperfect tense is?) How I do admire those who are (and do). Ugh! Spelling mistakes always jump out at me too. I decided to clock off the ‘pay as you go’ internet provision, at the hotel I was staying, when I got to £5; with the proviso that I can always edit later if necessary. Now I daren’t edit, otherwise it will look like you are talking twaddle! On the way home I was reading Eat, Shoots and Leaves by Lynne Truss. She was purporting the importance of punctuation. I have loads to say on that one – another time! However, what stands out is her compunction to get it, punctuation, as right as it can be for the audience it is related to. I suggest that whilst emails, texting and time constraints have gone a long way towards the disappearance of English language etiquette, there is nothing wrong in getting it as right as we ought. Especially if, for example, your audience is likely to know that a company is a single entity and therefore it requires a singular verb. I do not claim to be an expert in the English language, indeed I learnt most (that is fairly little) of my English grammar and phraseology from my French and German teachers. However, I have discovered a zest for honing the language and I appreciate it so much better now than I ever did at school. Finally, is there any reason why you shouldn’t have two ses in Focussing? Especially if that is how you want to be referred to/known as. Ha! Feel free to edit the spelling mistakes Laura, and delete/edit my comment! No probs!